The Symposium is a collaboration between the Black straight and Black LGBT2QS+ communities, with one of the purpose of the event which is to have cross-borders dialogue around issues that affect Black communities from around the world, the other goal is to speak to the fact that there are multiple entry points into Blackness and the fact that the Journey for Black Liberation can not only be for heteronormative folks. 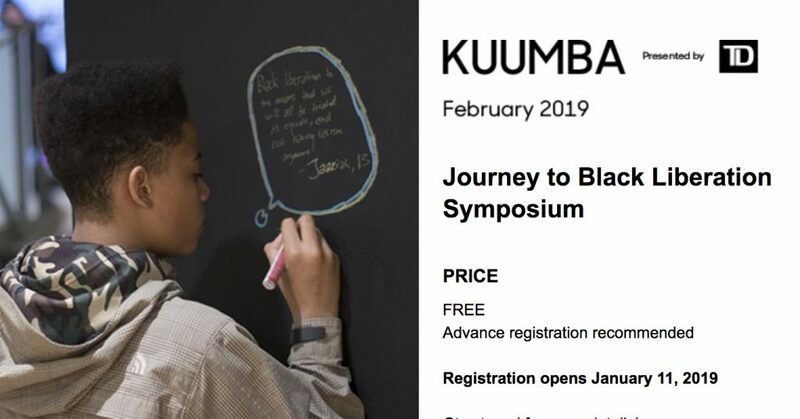 See the complete line up for the plenaries at this year’s Journey to Black Liberation Symposium, we are 90% sold out for some of our plenaries, so register for free today and also buy your tickets for the Black Liberation Ball, which is guaranteed to be sold out this year for the 2ndyear in a row. 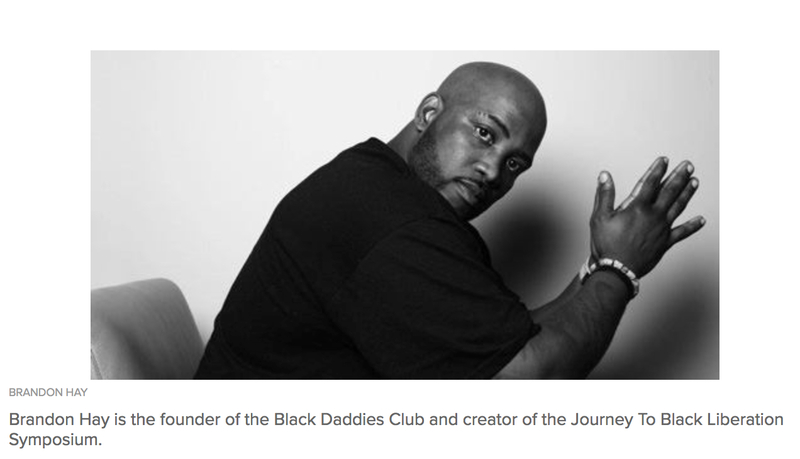 As Black Daddies Club goes into our 11th year of doing grassroots community based education in the city of Toronto we are excited to co-present, The 2nd annual Journey to Black Liberation Symposium and the Black Liberation Ball which were born through the 2017 Black Love Matters Un-Conference course at York University co-taught and co-created by Nigel Barriffe and Brandon Hay (founder of Black Daddies Club). All the plenaries are free, we want to ensure that this symposium is as accessible as possible for community members to attend. 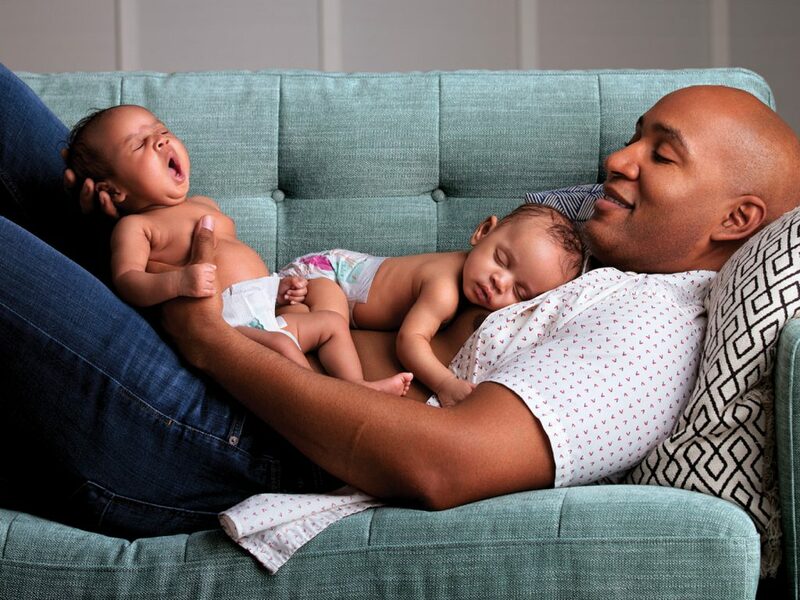 We are excited to announce that our headliner this 2019 is Dominque Jackson, who will be doing an intimate dialogue entitled “I AM WOMAN”, best known for her leading role of Elektra Abundance of the FX Television series Pose, will be discussing her life as a trans Black woman and the challenges and achievements that have made her the women she is today. 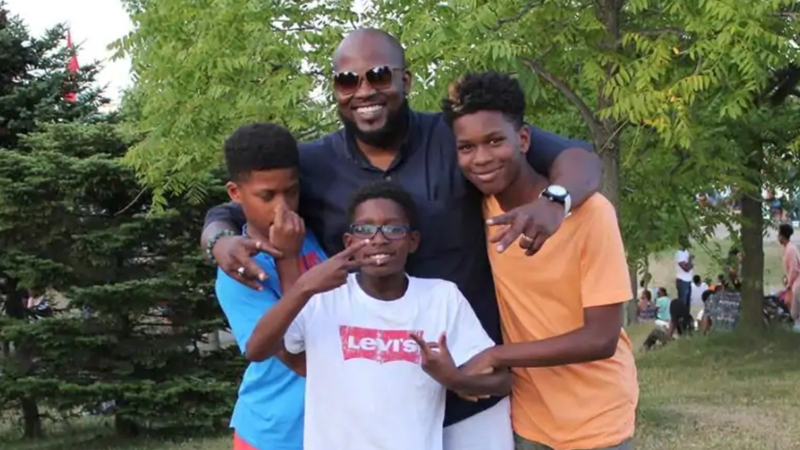 We are excited to announce we have a barbershop discussion event leading up to symposium entitled “Black People Being Honest: Dating While Black in Toronto in 2019”, this discussion will be on Friday January 25th, 2019from 7pm to 9pm at Hairplay barbershop 2444 Dufferin Street, the event is free and no registration is needed. 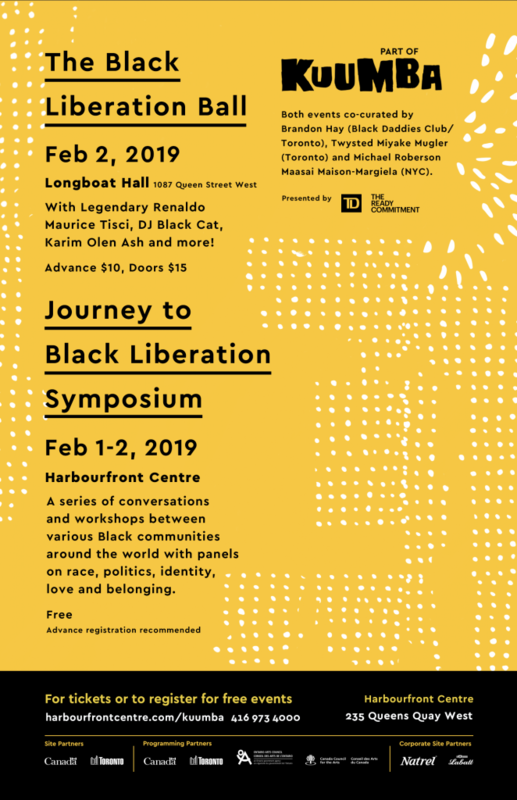 The Journey to Black Liberation Symposium returns to Harbourfront Centre for its second edition! This year, the focus is to have a series of conversation between various Black communities around the world engaging in discussions that are affecting us on a micro as well as macro level. The goal is not to just bear witness to the oppression and injustice, but it is to create a series cross borders network of Black activists, academics and other stakeholders looking at sharing ideas, strategizing, educating each other and community building in efforts achieve Black liberation globally. 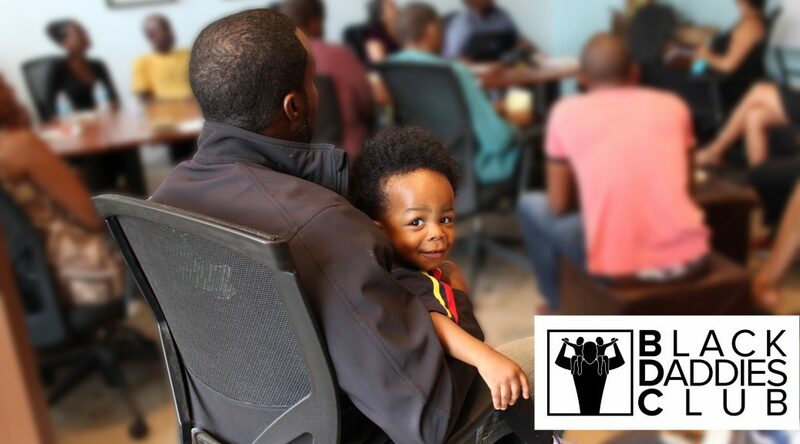 The goal is touch lives, enrich lives and also change lives in the process. For the 2019 edition, the conversations will be around the themes of Love, Honesty and Healing in Black Communities in the 21st century. Co-curated by Brandon Hay (Black Daddies Club/Toronto), Twysted Miyake Mugler (Toronto Kiki Ballroom Alliance/Toronto), Michael Roberson Maasai Maison-Margiela (NYC). 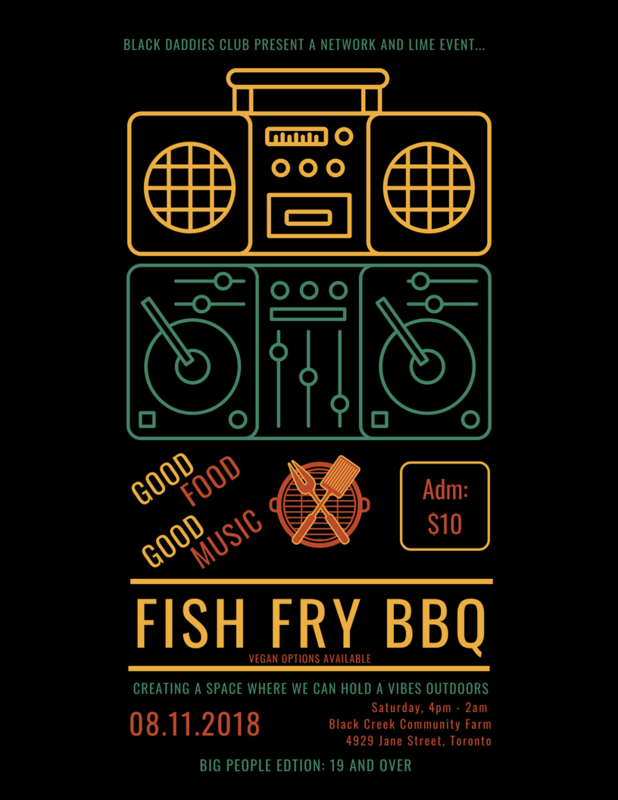 Presented by The Black Daddies Club: Fish Fry BBQ (big people edition: 19 and older event) will take place at Black Creek Farm in Toronto, located at 4929 Jane St (just south of Steeles Ave) on August 11, 2018..
Black Daddies Club founder Brandon Hay talks parenting, community and what he teaches his three boys. Click here for the full article featured on Locallove.ca or watch the video below.